- Upload and activate the newly downloaded ZIP file. 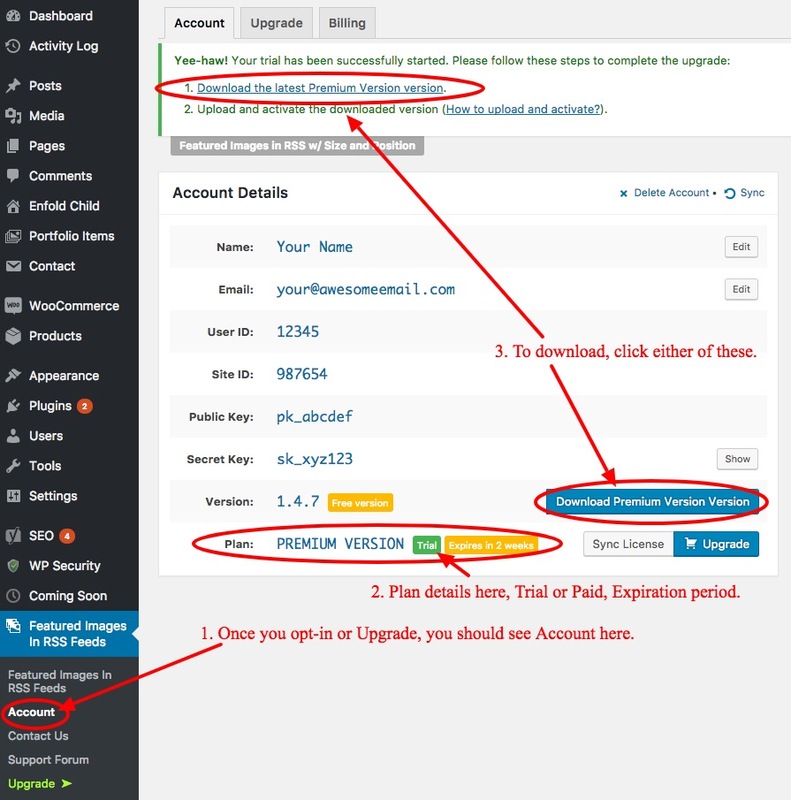 - Click Plugins, Add New, Upload. - Select the ZIP file you downloaded and saved to your computer, find it in the save location you saved it to. - It should automatically deactivate the free version, which you can then delete if you like. I never got the activation email, will this keep me from using the plugin? How do I get another email? If you're clicking on the Premium email link, and it's installed the plugin, but it wasn't activated as expected, you can visit the Plugins > All Plugins page, it should show the free version, as well as the newly installed Premium version. Once activated, it should automatically deactivate the free version. The free version can then be deleted, as the premium version has the same features. Please let us know if you've done all that and the plugin isn't installing or activating as expected, or you run into any issues with the above. No worries, you can visit the plugin admin settings to have it resend, first check the email under Settings > General as that is what is used to send the email to. If you can't find it, let me know and I can send screenshots of where to go to have it resend. It will not stop you from using the plugin in any way, it simply helps us see what version of WordPress and server you are using, so we can troubleshoot and develop fixes better, send you notification emails as needed, etc.